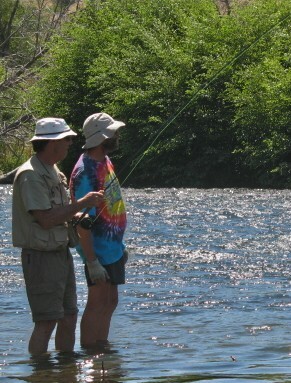 At Deschutes River Fly Fishing, one of our absolute favorite activities is sharing our love of fly fishing with those new to the sport. Whether you're brand new to fly fishing or trying to polish your casting, knot-tying and presentation skills, or have a spouse or a child you'd like to expose to this great sport, we're here to help. 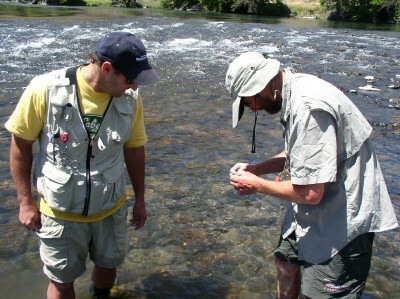 At Deschutes River Fly Fishing, we get great pleasure as we watch your cast develop, see you confidently pick out the appropriate fly and tie a rock-solid knot. 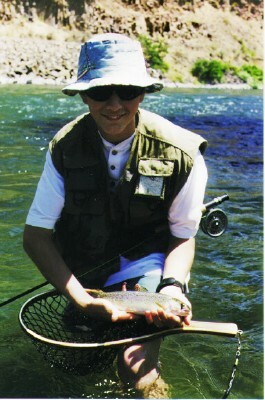 You'll learn how to read water, identify insects, and most importantly, how to love fly fishing on the Deschutes River! We provide patient, thorough instruction, equipment if needed, and place all of our attention on your learning. We offer two and four hour lessons, or you can book a full day driftboat guide trip and let us know you want extra instruction from your guide.